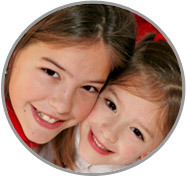 ABC's Nannies in Lebanon County provide families with the upmost care for their children and sincerely wish to become like members of the family - call today! Families looking for Nannies in Lebanon County will love nannies like Emilia, who use their dancing and energy to keep children active and entertained! Please call 717-221-1020 today to speak with a placement counselor and start your search among the perfect Nannies in Lebanon County!